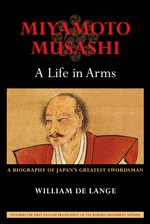 Draws extensively on a wealth of original sources to reveal the master swordsman’s reckless valor in the face of danger, his sensitive intelligence in the fields of art and architecture, his generosity toward peers and pupils, and his defiant stubbornness in old age. 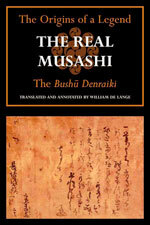 This earliest and most reliable record of the life and exploits of Miyamoto Musashi (c. 1584–1645) , the most revered and celebrated swordsman in Japanese history, is, after three centuries, for the first time finally available to the English reader. 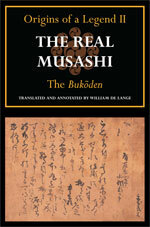 Toyoda Masanaga's informative record completed in 1755 of the later life and exploits of Japan's greatest swordsman, Miyamoto Musashi (c. 1584–1645), available for the first time in English. 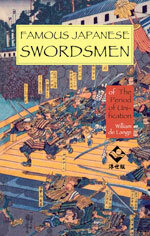 From the author of the bestselling Famous Japanese Swordsmen of the Warring States comes more solid sword history in the guise of thrilling narrative set amidst a turning point in Japan's medieval era, when an unbridgeable rift appeared in the fragile fabric of Japanese feudal society. 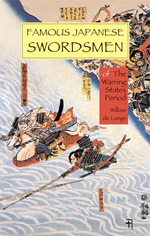 True stories of the two greatest sword heroes of the most destructive period in Japan’s history, when thousands of warriors either perished or persevered on the strength of their martial skills. 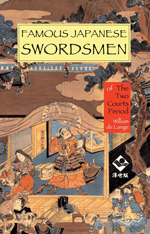 This third and final volume of the Swordsmen trilogy chronicles one of the great turning points in Japan's medieval era, when after more than two centuries of civil strife Japan finally found its way back to peace and order under three successive rulers: Oda Nobunaga, Toyotomi Hideyoshi, and Tokugawa Ieyasu.